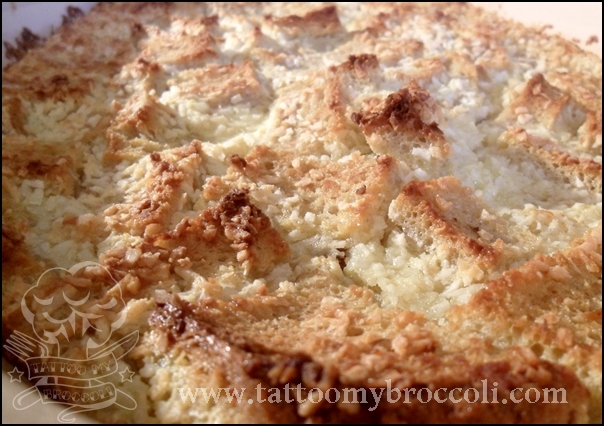 I have never been to Hawaii (I wish) but I called this pudding Hawaiian Bread Pudding because it has a lot of coconut. I hope Hawaiians won’t mind. This recipe is just perfect to use when you have some leftover bread which has gone stale and your family don’t want to eat it because of that. This will make them gobble up that bread as if there’s no tomorrow! When ready, the bread pudding does not taste like bread or French toast or anything like it – it tastes like cake, I promise. 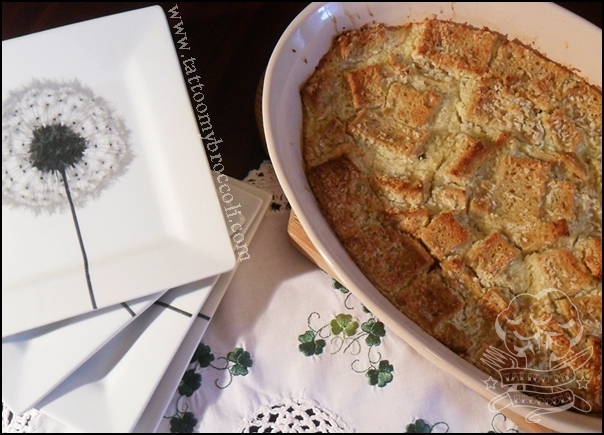 My bread pudding is not as sweet as some of the recipes I tried because I always found them too sweet, so when making my own version, I went for far less sugar. This is obviously something you might prefer to change but do give this lower-sugar version a go and I promise you won’t regret it. Trim all of the crust off your bread. It’s just not very good with crust after you bake it. 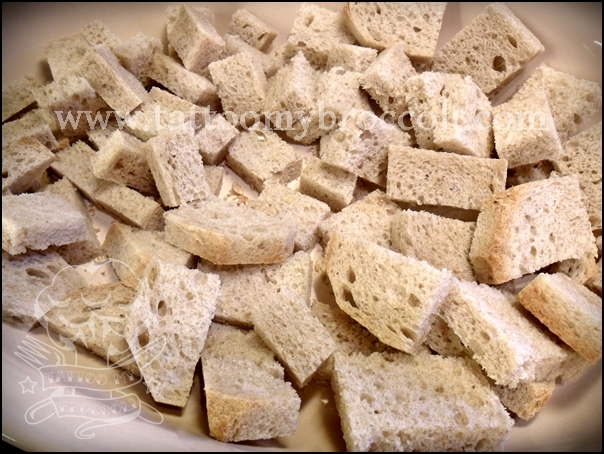 Cut or break bread into small pieces or squares and place in a large baking dish. 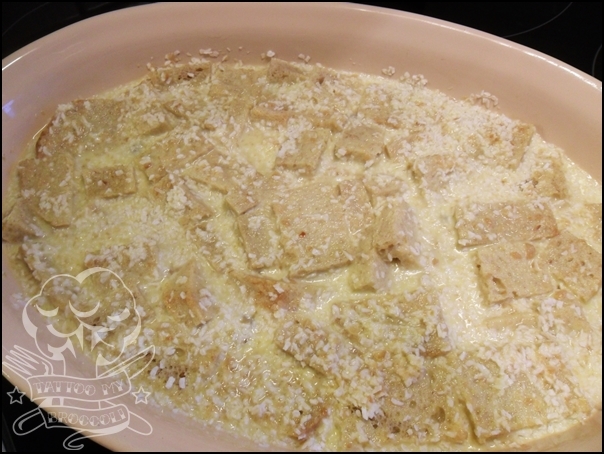 In a bowl whisk together eggs, applesauce, slowly adding coconut milk, vanilla essence and sugar to keep the mixture well blended and light. Pour the batter over bread and lightly press with a spatula to submerge all of the bread pieces in the batter. Sprinkle the coconut and raisins over the pudding (my raisins seem to have drowned).